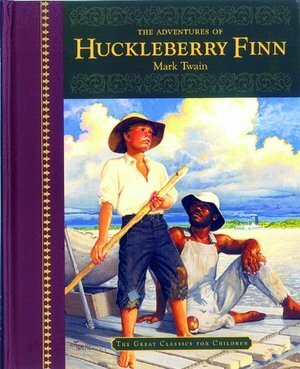 Introduce your child to Mark Twain's Adventures of Huckleberry Finn in this delightful 182-page condensation of the classic American novel. This timeless tale has been adapted by Clay Stafford and retains the flavor of the original. Illustrated with black and white drawings by artist Ruth Palmer, the hardcover book will be a wonderful addition to your child's bookshelf. This beautiful book is part of The Great Classics for Children series published by Dalmatian Press and brought to you by Bendon Publishing. Bendon Publishing International provides entertaining, high quality books and activities for children.